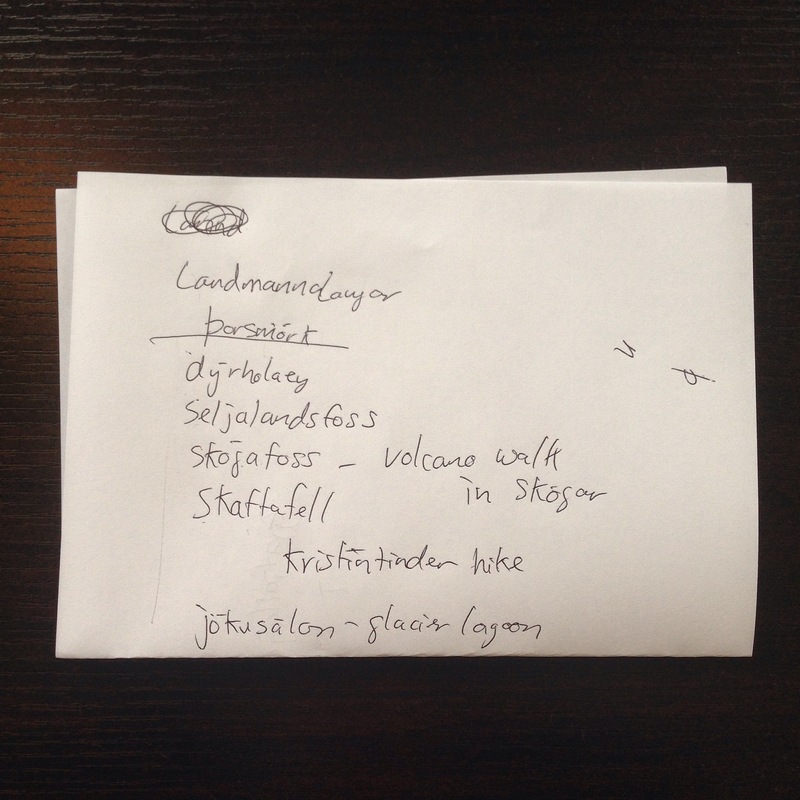 The trip is underway and we are in (n)Iceland! Fortunately, it’s during an exciting time when a Volcano has the world watching this small nation of 300,000 people. 8/20: Arrived in Keflavik. Took the shuttle to the Hlemmur Square Hostel that is perfectly situated on the main shopping street of Laugavegur and the main bus station. Wondered over to Hallgrímskirkja (the largest church in Iceland and the sixth tallest building in the country). Walked around 7km trying to find affordable food taking in consideration our budget before finding a meal at the city mall. While we were eating there, a large group of highly fashionable middle schoolers strolled in and we took note on how to dress. Made it back to the Hostel where we passed out for the night. 8/21: Went on a morning run around the perimeter of the city, couldn’t have asked for better weather (10 C) to keep my tan. We were told that the Chuck Norris Grill is a must-have around here so we treated ourselves to a Roundhouse Kick burger. Afterwards, we met up with some other backpackers at the hostel where we decided to hike Mt. 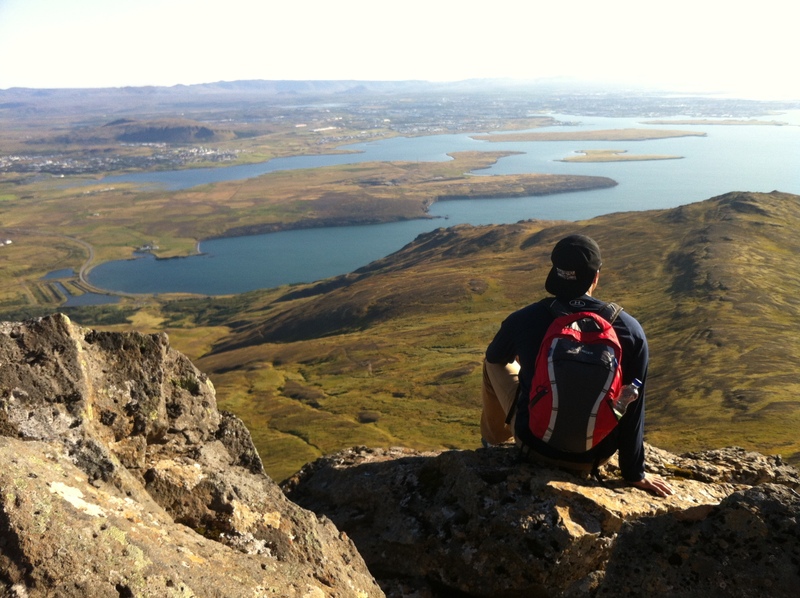 Esja that overlooks Reykjavik and the surrounding area. With the clear day, it made for unbelievable views. Once we made it down and back, that easily wrapped up the day. We also adopted a new traveler from the University of Denver, Jake, who is on his way to Milan studying abroad. 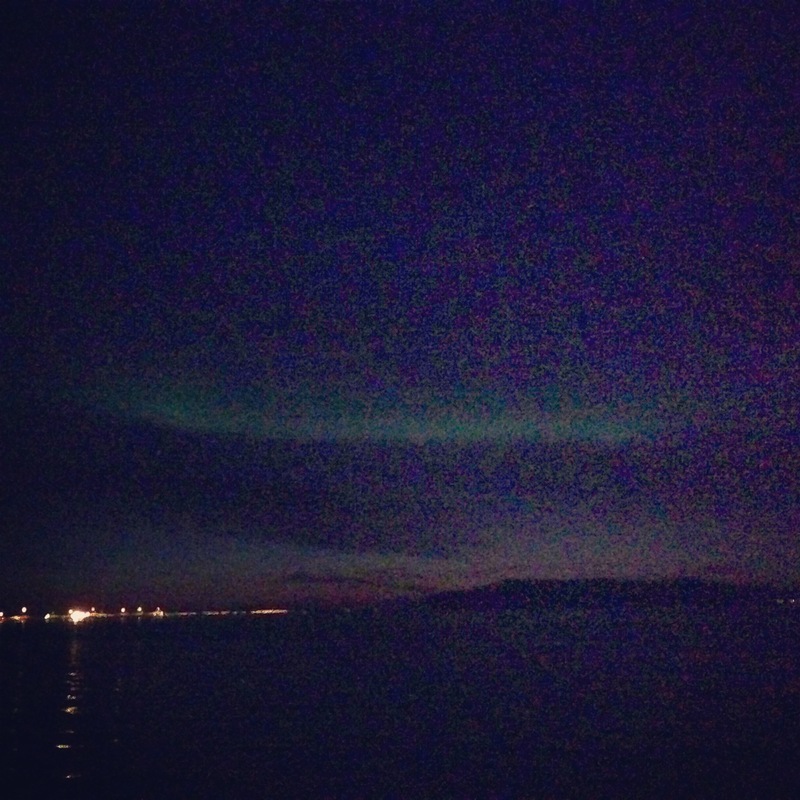 Highlight of this night – witnessed the aurora borealis for the first time. No words to describe this other than a check on the bucket list. Jesse missed it by two minutes, he has since been labeled “the blitz”. 8/22: Woke up in the morning to heavy legs. The hike wasn’t forgiving nor was it considerate to the race Jaylon and I signed up for earlier in the week. We made it though and received our medals at the end (everyone’s a winner, except for Jay – I burned him on the turn). 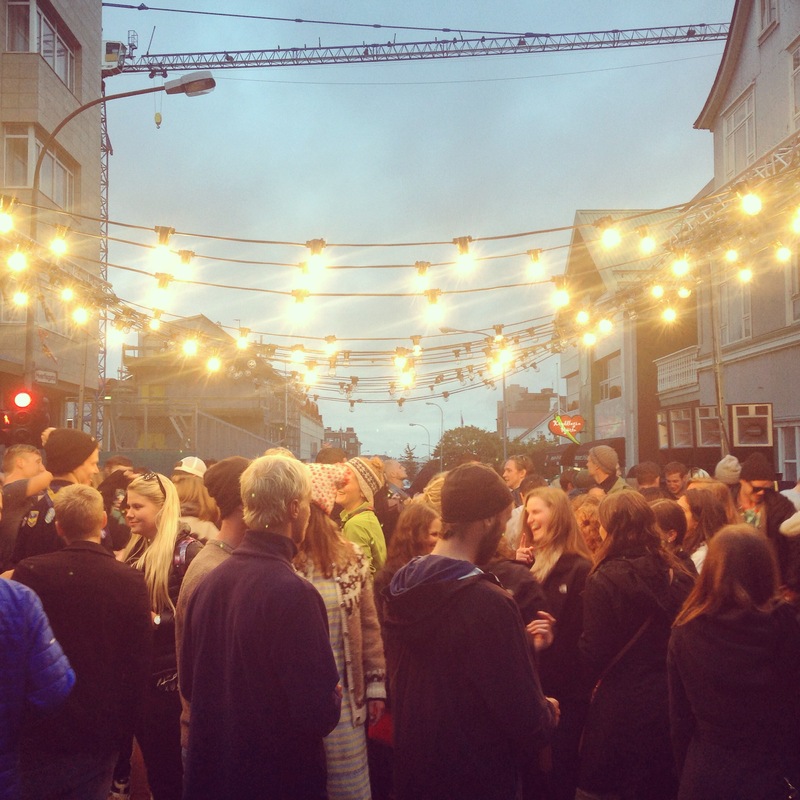 Fortunately for this trip, we were only steps away from Iceland’s largest fesitval, Menningarnott (Aka culture night). That took us all through the night where we were doused with music, dancing, food, beer, and a variety of activities all to be topped off with a fireworks show. 8/23: We checked out of the hostel in the morning where we moved into an apartment from AirBnb. I found it to be cheaper after we acquired Jake to have our own place and pay less. It was only two blocks from Hlemmur Square which made for the easiest of transitions. We spent the day getting acquainted and going to the geothermal city pool. I also finalized details for a car rental for the next two days where we will travel the golden circle and head down to the South Bay. This is where we will get close to the active Volcano in the region that has been fluctuating warning levels from orange to red in the past week. In one day alone, over 580 earthquakes were recorded. I probably won’t post until we are leaving Iceland in four days. By that time, I hope to have a small video put together with a few of the highlights from the trip. Cheers!